No, this isn't a joke. It really happened and was captured on video late Sunday. The sideshow reportedly occurred in the area of Mission Boulevard and Whipple Road, near the Hayward-Union City border. 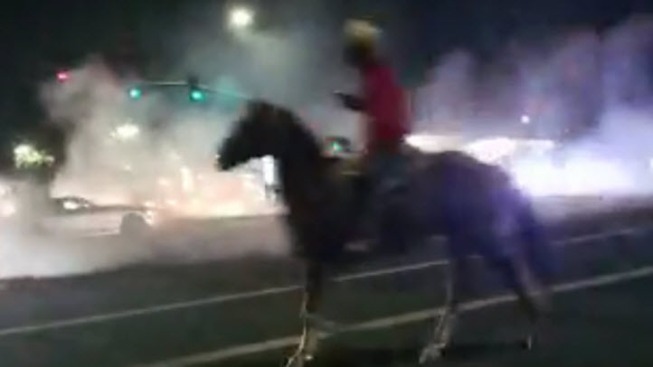 The video provided by Hayward resident Alan Garren shows several vehicles spinning donuts at the intersection when a person riding a horse strolls by.